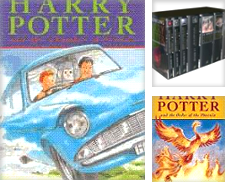 The Harry Potter series only began in 1997 and yet J.K. Rowling's books have become highly collectible. It usually takes decades for a book to become collectible and gain significant value on the rare book market. The AbeBooks online marketplaces has sold hundreds of copies of Rowling's books at high prices, including a first edition of Harry Potter and the Philsopher's Stone that sold for $37,000. Do you have a valuable Harry Potter gathering dust under your bed? Demand for collectible Harry Potters has not decreased even though the last book in the series, Harry Potter and the Deathly Hallows, was published in 2007. The movies, Rowling's high profile, and her non-Potter novels (The Casual Vacancy, The Cuckoo's Calling, The Silkworm, and Career of Evil) have kept interest alive. 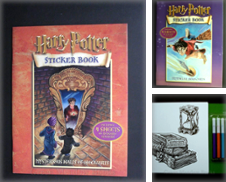 Hardcover first edition first printings of this 1997 book have become the 'Holy Grail' for Potter collectors. If you find one in the attic, then you've hit the jackpot. Only 500 were published and 300 went to libraries. 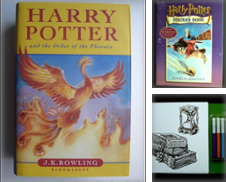 The main characteristics of a 1997 first edition first printing are a print line that reads "10 9 8 7 6 5 4 3 2 1" and the crediting of "Joanne Rowling" not J.K. Prices on AbeBooks vary from $40,000 to $55,000. A handful of advance proof copies are available from $7,500 to $13,500. Prices for Australian first editions vary between $200 and $2000. The first editions of the deluxe edition from 1999 are also desirable with prices from $450 to $2,500. Paperback first editions of the Philosopher's Stone are also quite scarce and attract four-figure price-tags - sometimes five figures if in excellent condition. Published in 1998, the US version of the Philosopher's Stone was re-titled. Prices for first edition first printings go up to around $6,500 with a fair selection between $4,000 and $5,000 - many signed by the author - although cheaper copies can be found. US first editions will have the number line of "1 3 5 7 9 10 8 6 4 2 8 9/9 0/0 01 02," on the copyright page along with "Printed in the U.S.A.23" and "First American edition, October 1998". Prices for later editions in good condition are three figures. Published in 1998, prices for hardcover first edition first printings go up to $9,000. In 1998, J.K. Rowling was still a jobbing author rather than a worldwide superstar richer than the Queen, so there are a reasonable number of signed first editions available from her book tour signings. Deluxe editions can be priced in four figures if signed. Scholastic's American first editions are generally priced in three figures but look out for signed copies. First Australian editions are available from $300 to $600 but Canadian firsts are cheaply priced. 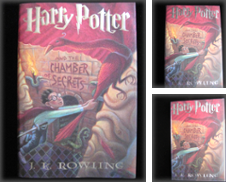 The initial hardcover print run was stopped mid-printing after it was discovered that 'Joanne Rowling' rather than 'J.K. Rowling' had been printed on the copyright page. Joanne versions are available for prices starting at around $1,500 and go up to $12,000 for signed pristine copies. First edition first printings will have the number line 10 9 8 7 6 5 4 3 2 1 and a block of misaligned text on page seven. Opinions about the number of copies printed before the errors were spotted vary greatly - however, it seems that only a small number came off the press which greatly enhances its value. The deluxe editions, with green cloth, of 1999 are also collectible if they are a first edition (prices go up to $5,000). However, second printings can be picked up for three figures. Look out for Canadian first editions, published by Raincoast, for between $100 and $300. First American editions vary from $150 to $700 for a signed copy. J.K.'s signature (by book 4, she was signing fewer copies) turns any first edition of Goblet of Fire into a book with a four-figure price-tag but there are a handful of copies over $10,000. Look out for the limited editions with original watercolor illustrations by Giles Greenfield (Bloomsbury's UK edition) and Mary GrandPré (Scholastic's super rare US edition of only 25 copies). If either illustrator has signed a copy, then prices are again in four-figures. Many buyers are also looking for books accompanied by items such as entrance wristbands or golden tickets from events where J.K. Rowling has conducted a signing. After the Goblet of Fire, these signing events have become increasingly scarce. Look out for first edition copies signed by JK Rowling at the midnight launch event in Edinburgh on 2003 that are going to be priced in four figures. Jason Cockroft illustrated the UK edition while Mary GrandPré illustrated the US version – their signatures enhance a book's value but such copies can be found for as little as $200. Published in July 2005 to widespread Pottermania, J.K.'s days of book tours were long gone so very few signed copies are on the market. A handful are available for prices up to $5,000. Copies signed by illustrator Mary GrandPré can be found for $250 or less. Deluxe first edition first printings can be picked up cheaply. Millions and millions of copies of Harry Potter and the Deathly Hallows have been published. J.K. Rowling launched the book at London's Natural History Museum in 2007. She signed copies of the book that night for 1,700 people who won exclusive tickets to the event. Those 1,700 copies have considerable value now. Prices for signed copies usually start around $1000. The most expensive signed Hallows to sell via AbeBooks went for $5,500.